Jan is a results oriented professional with over 25 years' of progressively increasing responsibility in Medical Devices, Biotech, and Invitro-Diagnostics. She has demonstrated expertise in Quality, Compliance, Design, Supply Chain Operations, and Project Management. 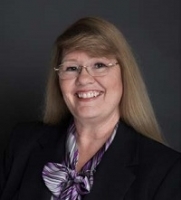 She is experienced in warning letter remediation, acquisitions and divestitures, facility start-up, global quality systems, domestic and international regulatory requirements, and team leadership for new product introductions, implementation of new/revised regulations, and multi-site harmonized quality system improvements.